This video is the best way to see the project as it was performed. However, the image quality is not perfect and neither is the audio because the camera (which was recording audio from the attached camera mic) needed to be placed next to the noisy 16mm film projector. 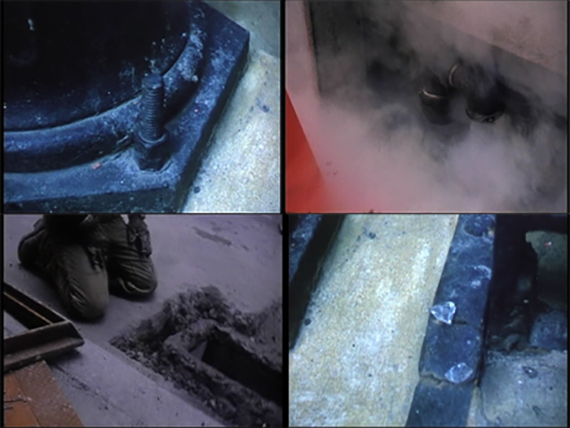 This video transfer of just the film images (not the performance) shows them clearly, and the superimposed audio is from a good audio recording of a performance of the piece at Harvard University.